This wonderful tea is grown on the cliffs in the province of Fujian at heights where monkeys used to pick the leaves. The harvest time for this tea is brief, making it a luxurious tea. 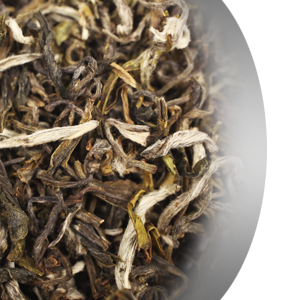 Upon infusion, the rougher, slightly fluffy leaf brings out a medium to full bodied tea with a bright light green liquor color, and a mellow nutty taste. Contains a slight nuance of honey to slightly sweeten.